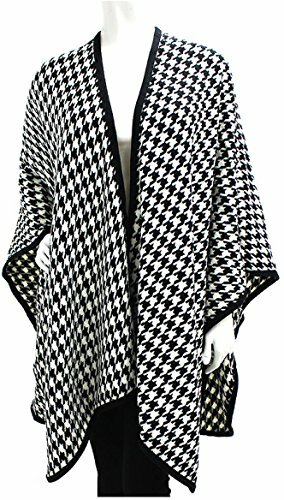 I have always loved the houndstooth pattern, I find the pattern to be timeless, and the wonderful thing about houndstooth is how adaptable it is. You can use it to create a very runway-inspired look or wear it more traditionally; either way, it is quite chic. Houndstooth is a classic menswear print that Chanel had made famous for women in the 60’s. The pattern has been around for over decades in its classic black and white shades but now is making a comeback in a variety of colours as well. If you are brave and bold enough, try wearing houndstooth from head to toe. 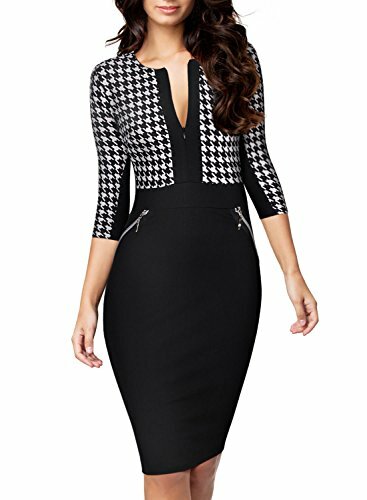 The simplest and easiest ways, of course, is to wear a houndstooth printed dress. You can also get in on the suiting trend and rock a houndstooth suit or, if you want something more flexible and something that offers you more freedom and options, you can simply wear whatever you feel like wearing and top it off with a houndstooth coat. The Houndstooth pattern makes for great work-wear. The simplest way to wear this trend is to wear a houndstooth printed jacket over your formals to work. 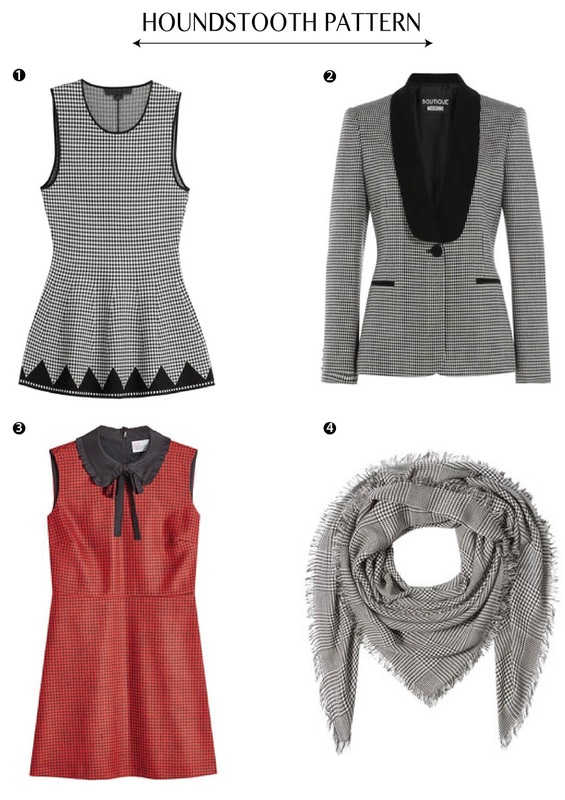 Also, a houndstooth blazer can easily go from day to night. The check now comes in a multitude of fabrications and colours, seen on tweed texture pants and slinky silk shirts, there’s something both modern and classic about it. 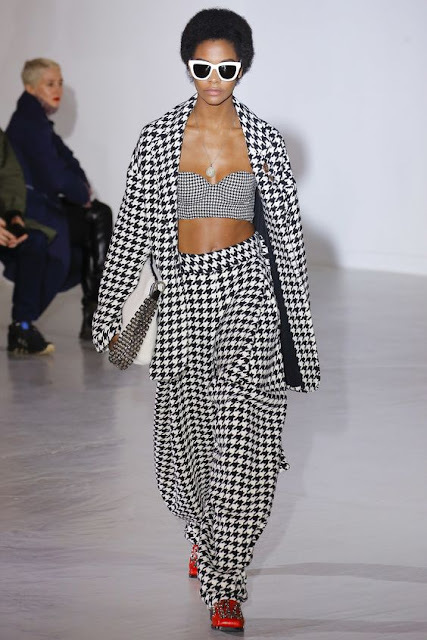 Pick one piece and keep the rest of the outfit clean and neutral—houndstooth is bold enough to be the sole focal point or a houndstooth accessory, like a handbag or scarf, to keep you from being overwhelmed. Trust me, you’ll get addicted. Now, for the really bold and adventurous fashionistas out there, here’s something more challenging: wear houndstooth with other prints. The print on print trend is still in full force so why not add the houndstooth print to your arsenal of printed patterns to mix and match? Aimee Song in a classic houndstooth matching skirt suit set. Akris Resort 2017 Fashion Show. 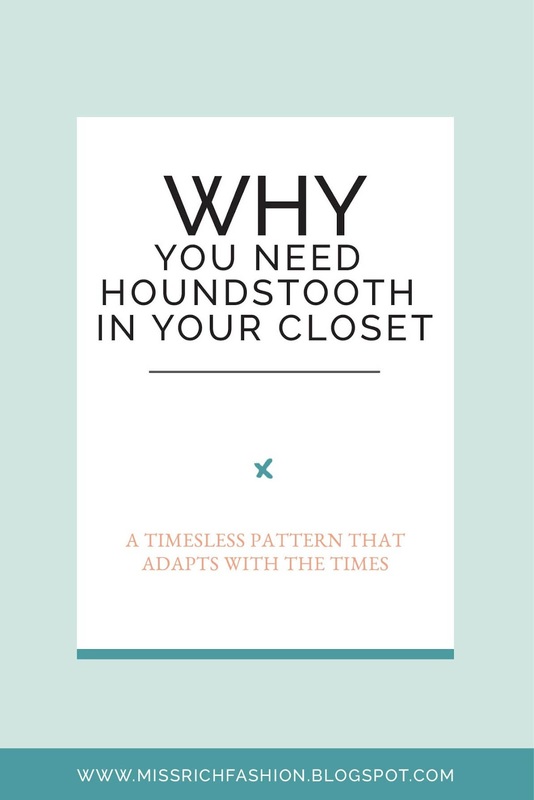 Thank you so much for reading my post on the Houndstooth pattern! Thank you. Yes you right they both never do. I've seen this pattern quite a bit over the last few years but didn't know it was called Houndstooth!